Anyone can take off their shoes and run. But as you’ve spent your life in shoes, your body is definitely not ready to take that leap just yet. My first barefoot run, in a pair of barefoot running shoes was supposed to be just around the block. However once I got out there it felt so good that I reached the end of the block and just kept going. After two kilometers my calves informed me it was time to stop; I couldn’t walk properly for a week. I didn’t learn my lesson that time, and failed to learn my lesson many times since. This page is my collected advice to anyone starting out. How to prepare for starting your own journey of discovery. I’ve been doing this for over 6 years now and although I’ve learnt a lot, I’ve still it all to learn. Nothing beats your own experience, but why re-invent the wheel when you can benefit from someone else’s mishaps. Your body is amazing, and will adapt to stimulus; a process called mechanostat modeling. The trick is to give it enough stress to adapt, but not to overdo it and get injured. You’ve worn shoes all your life and so the skin on the planter surface of your feet are soft and thin. 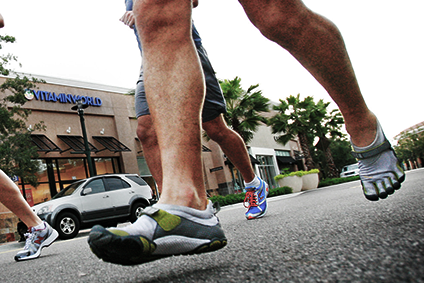 Over time with conditioning, the hardiness of your soles will increase, enabling you to withstand running barefoot. Unless of course you run in minimalist shoes, in which case your soles will stay relatively the same. But don’t think this increased toughness comes with calluses; that’s just a myth. Wearing heeled shoes has shortened and weakened your calf muscles. 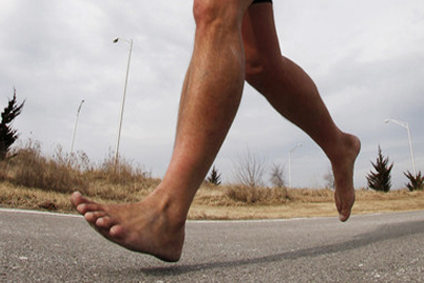 Barefoot running requires the full extension of the calves; they are almost unused in conventional shod running. Full extension will take some time, but is vital to the biomechanics of un-shod running. Luckily the shortening can be undone. The natural spring of your Achilles (calcaneal) tendons is used in barefoot running to store and release energy; making your running more efficient. 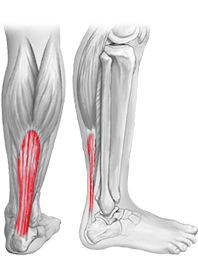 The thickest tendon in the human body, as with your calves it will have atrophied over time due to heeled shoe use. A gentle reawakening of this tendon’s function is vital to avoid Achillies tendinosis. 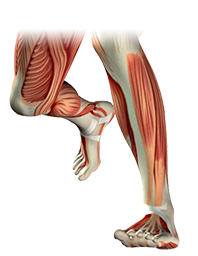 Every bone, muscle and tendon in your legs and feet are involved as a suspension and damping system when barefoot running. Ensuring when your foot touches-down, it isn’t with a crunch; the three leg joints and arch of the foot are all involved in creating that dampened landing. There’s nothing specific you can do to beef this lot up. It will gradually take care of itself over time. We’ve all seen the runners in the park, haven’t we. Stretching to warm up before their run, stretching to cool-down at the end of their run, and even stopping whenever they feel a twinge during their run. Most commonly seen pulling their heal to their buttocks, or standing like a stork with the other leg on a bench/post/fence, etc. I’ve noted in my blog many times that I believe the only reason these runners feel the need to stretch is because they run with an unnatural gait; running in shoes. Ever since I’ve started running shoe-less I’ve put this to the test by deliberately not doing any stretches before, during or after my run. My theory being that I doubt the first modern humans bothered with stretching, or even had any concept of it, prior to setting off to run down an antelope using persistence hunting. … there are two relevant beginners’ stretches. Wearing heeled shoes, your calves have shortened and your achilles have stiffened. These two stretches use your own weight and gravity to gently achieve full extension again. This will take time, don’t rush it. 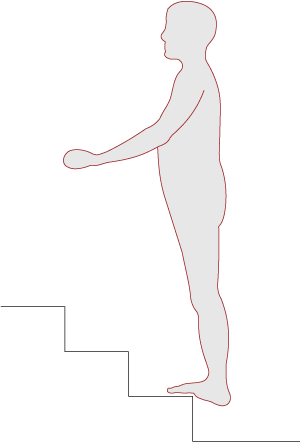 Place the balls of your feet on the bottom step of a flight of stairs and while holding the bannister, gently relax your feet, allowing your body weight to pull your heels down. You will feel this pulling on your calves. 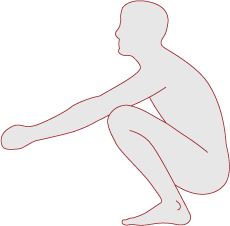 Hold this position for a few seconds to start with, then flex your feet, pushing you back up so that your feet are level again. Repeat this several times. Never bounce. This should be a controlled movement. 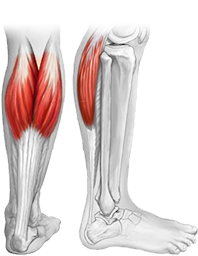 Over time you’ll find that this becomes more comfortable as your calves and achilles stretch out and you regain full movement in them once again. You’ve probably not had full extension of these since childhood, so be patience with your progress. Place your feet wide apart and lower your body, keeping your whole foot—heels included—in contact with the floor. To start with you won’t be able to do this without toppling backwards. Therefore begin doing this stretch while holding onto something; a post for example. You should let your weight completely rest, allowing yourself to lean back until comfortable. Once in a comfortable position, you can then gently pull yourself forward until your heels are lifted slightly from the floor. 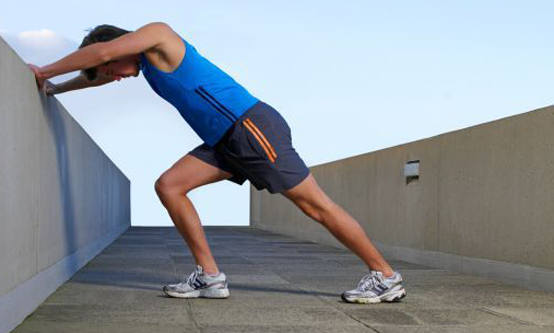 Holding this position will start to stretch out your calves and achilles tendons. Don’t rush this exercise, or you’ll have trouble walking the next day. But do this a few times every day and you’ll be amazed at how fast you regain full extension. When you can do this squat without holding on, you can continue improving your flexibility by reaching your arms forward from a stable squatting position. This will push your centre of gravity forward and achieve the same thing, gently pulling our heels just off the floor and further stretching your calves and achilles out. Squatting for most Westerners is uncomfortable, mainly because they can only manage a partial squat. As they’ve sat in chairs and worn heeled shoes all their lives, they simply can’t do the flatfooted full squat. People in poorer countries adopt this squat position all the time and can stay in it for hours quite comfortably; hence why it’s often referred to as the Asian squat. Children, from all cultures, naturally do the full squat; until repeated shoe use shortens their calves and achilles and they stop being able to achieve the position. It’s also reckoned to be a healthier and easier way to deficate, using a squat toilet. Checkout this Slate article. The reason I mention weight here is because adapting to barefoot running will put stresses on your feet, ankles and legs that your body hasn’t experienced before. While you’re toughening these parts of your body, they will be stressed to the limit. 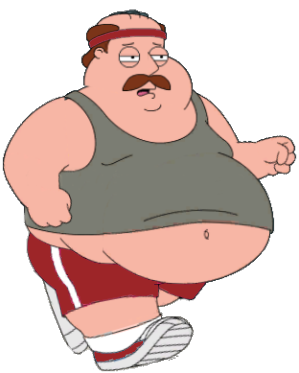 If you’re overweight the chances are you’ll injure yourself over and over again. It won’t be barefoot running that’s to blame, it will be your weight. Barefoot running involves loading your foot’s longitudinal arch with 3 times your body weight–at a cadence of 180, that’s 5,000 times an hour. Walking in shoes, you never put more than 1 times your body weight through your feet. Therefore it doesn’t take a rocket scientist to figure out that something’s going to give. You may end up fracturing a metatarsal or two. Or more likely you’ll sprain the ligaments surrounding them; a pain equal if not worse that a fracture. The same thing happens and the same advice applies with conventional running. Only the damage takes longer to show. By that time you’ll probably require a knee cartilage or replacement hip operation. If this sounds scary; good, it’s meant to. The leaner you are, the better your chances of converting to running in a barefoot style (or any style of running). This doesn’t mean you need to be super fit, or even fit. But you do need to consider your size before starting out. When I started out with barefoot running I had a BMI of 26.5 (85kg/13st 5lb), which made me overweight and I was outgrowing my 34″ waist fast. Four years on and I’ve lost 10 kg (22 lbs), making my BMI now 23 (72kg/11st 5lb), which puts me in the normal range, and gave me back my 32″ waist. I did that by diet, not exercise. Back when I weighed more, I had more trouble than I do now with blisters, sprains, etc. Of course you could argue it’s the conditioning overtime that has made these things go away, and you’d be right. 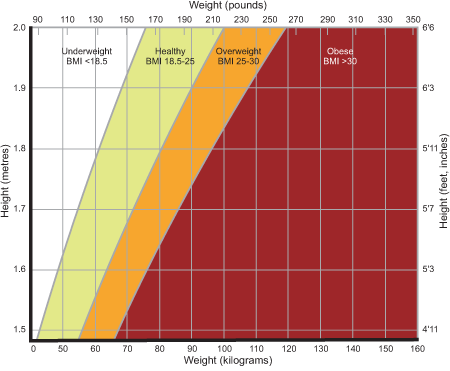 But I bet things would have been a whole lot easier had my BMI and/or weight been in the normal range to start with. I would only recommend starting barefoot running (or conventional running) if your BMI is under 30, and preferably under 25. STOP PRESS: A recent study showed that a runner’s weight was the biggest deciding factor in injuries when running in minimalist shoes (which simulates barefoot running bio-mechanics), and not BMI. 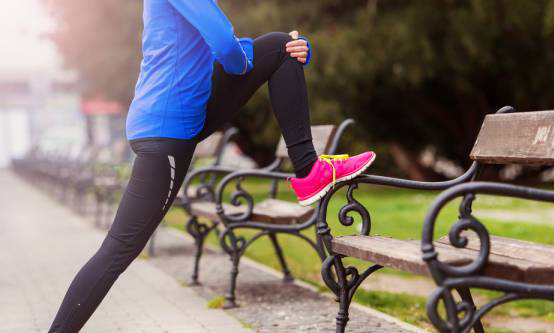 The study at the University of South Australia’s Sansom Institute for Health Research found that runners with a body weight of over 85kg running in minimalist shoes were three times more likely to sustain an injury. Whereas runners weighing less than 71kg had no adverse effects. Do bear in mind that these are runners with their soles covered, thus they are not benefiting from the self-limiting factor of their soles getting sore long before an injury occurs. This is the part where you will expect me detail a comprehensive training program to allow you to go from traditional shod running (or no running at all), to barefoot or minimalist running. Well I’m not going to do that. Mainly because your journey into running barefoot will be your own journey; unlike anyone else’s. I’ve some general advice for each option below. Yes, actually barefoot running, with no shoes whatsoever. Walking around outside barefoot is usually the recommended first start. However as you’ll be doing very little running in the early stages, I think this is just a waste of time and may keep you procrastinating about the running part. My advice would be to skip this. 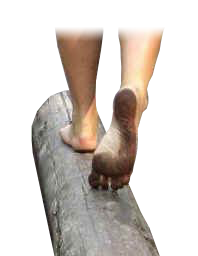 Start by understanding the barefoot gait. This is very easy, just take your shoes off and practice running on the spot. This is the basic gait. You’ll notice you use your whole legs and feet as a spring to cushion your steps. Once you’re okay with this, just do the same thing, but start to move forward. Congratulations, you are now barefoot running. Do your running on a hard flat clean surface (pavements, smooth tarmac, avoid areas with small stones at this stage – they’ll be very painful before your soles thicken up). If you run on grass or sand you won’t acquire the right gait, as your feet will naturally pound into the surface looking for stability and you won’t be using the whole of your legs as a spring. Build up your distance as you see fit. The soles of your feet are the self-limited factor here. The tender surface of your soles will become sore and encourage you to stop long before you inflict damage to anything else. Call it a day at this stage and you’ll be good to go again in the next day or so. As you progress try to run with your body a little lower than would normally feel comfortable or right. This will encourage more bending of the legs which you’re using as a spring. In time as you improve you’ll notice that you can land your feet flatter and flatter until it almost seems as if you are landing with a flat foot. The reality is that you are using your legs as the primary spring and your foot as the damper. Thus your heel touches down milliseconds behind your forefoot, but appearing to an observer as if they came down together. However to start with just think about running on the spot and moving forward. Over time you will hone the perfect technique but it’s not necessary to begin with. All the above applies, with the exception that as you’re protecting the soles of your feet, you no longer have he built in self-limiter. Therefore you absolutely will have to record and limit your time running. Build up distance and frequency very slowly to avoid injury. It feels so good running in a barefoot style that I guarantee you will think it’s okay to run much further than you intended. Only stopping once you’ve strained your calves or worse. So don’t do this and stick to whatever regime you come up with. Certainly no more than a couple of hundred metres for the first few runs. 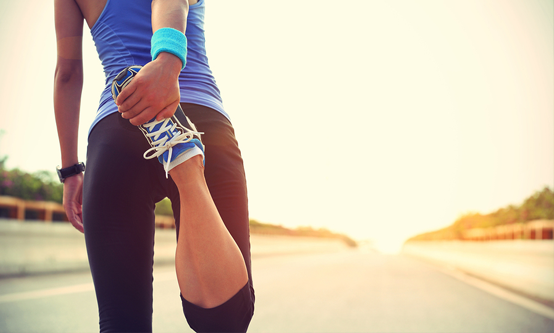 After this your calves will be the indicator, but only after your run. You will damage your calves long before they tell you about it, without the self-limiting feature of your bare soles. I know this as I started with minimalist shoes and made this mistake time and time again. As a result of that I then tried with no shoes at all, and have never suffered an overuse injury again. Of course the social stigma of being in public without shoes is a tough one to get over, which is why I didn’t initially do this. But please bear this warning in mind if you also decide that minimalist shoes are the right thing for you to start with.